The warmer waters of False Bay’s Indian Ocean are so very inviting, especially around the Cape Peninsula which is known for its cold ocean. 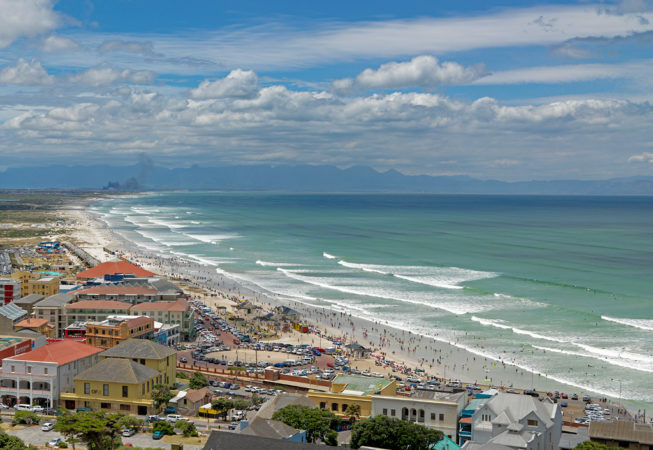 The smell of sunscreen is ubiquitous on this magnificent beach, one that has been repeatedly awarded the international seal of approval, Blue Flag beach status. Surfing is a major attraction here, and while the experienced take on the bigger breaks further back, the breakers in shallower waters are perfect nursery waves for children or novices. There are many surf shops that sell and rent out boards and surf gear. Lifeguards are on duty in peak times and seasons. 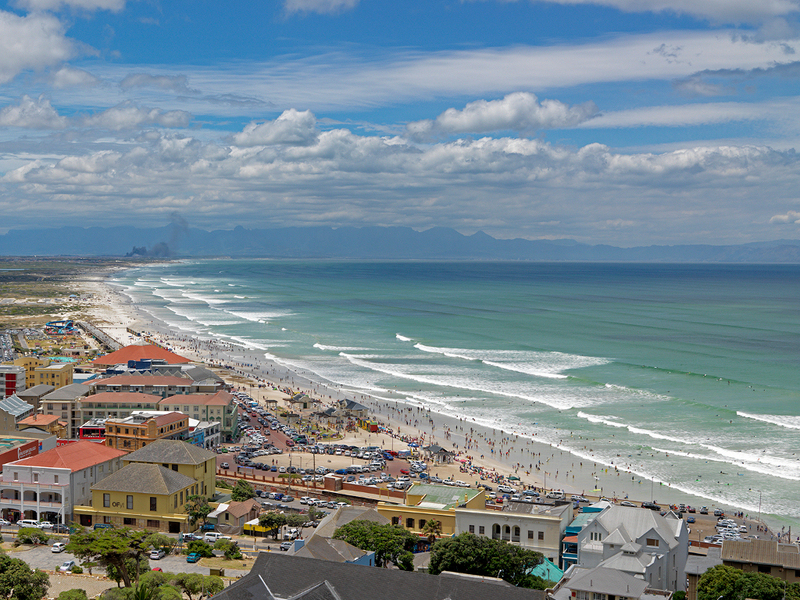 Pool swimming and water slides are massively popular in the Muizenberg Pavilion on the beach-front.